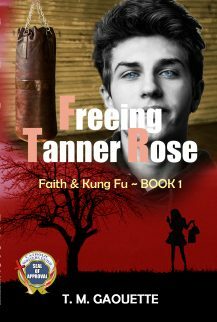 Catholic teen fiction is different from secular fiction because its themes, characters, conflict and/or story ideas come from and/or point to some aspect of truth given by Christ to the Church. While characters face temptations and challenges, like we all do, the message of where to find happiness is clear. 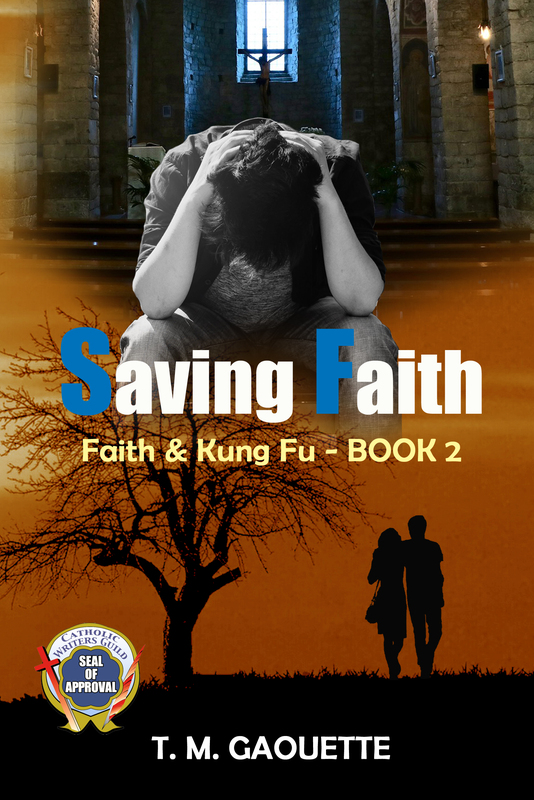 Catholic teen fiction shows the beauty of morality and virtue in a fallen world. 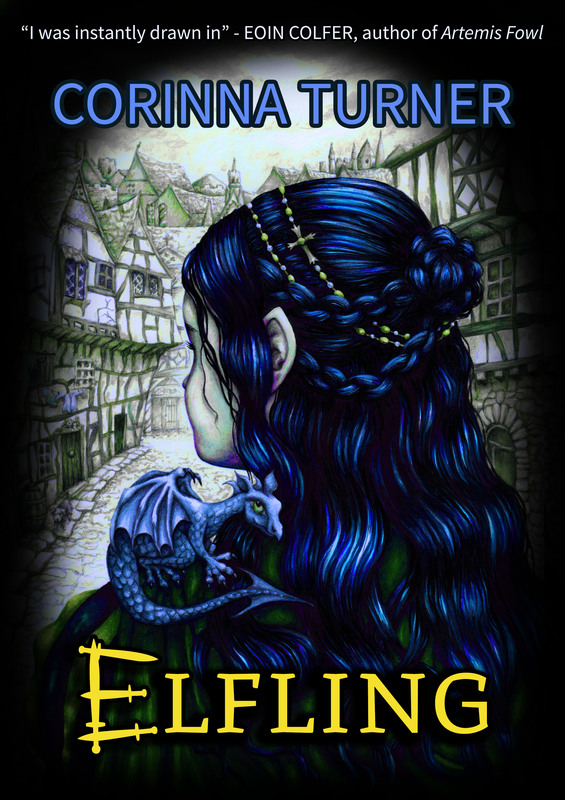 Finally, it not only entertains but lifts a reader’s thoughts to something greater than this world can ever offer. The Catechism of the Catholic Church begins, “God, infinitely perfect and blessed in himself, in a plan of sheer goodness freely created man to make him share in his own blessed life. For this reason, at every time and in every place, God draws close to man. He calls man to seek him, to know him, to love him with all his strength. He calls together all men, scattered and divided by sin, into the unity of his family, the Church” (CCC p.1). That is so amazing! God is always drawing close to us and calling us to seek him, know him, and love him. Everyone. Me, you, every member of your family, all your friends, fellow students, and coworkers . . . everyone! Even the people who don’t believe in him or who have turned away from him. God is always calling, but are we listening? The voice of the culture is loud. Life is distracting. And crosses and challenges often blind us to the truth. We have responsibilities, goals, and dreams. And sometimes we develop habits or behaviors that speak louder than the still, small voice of God. 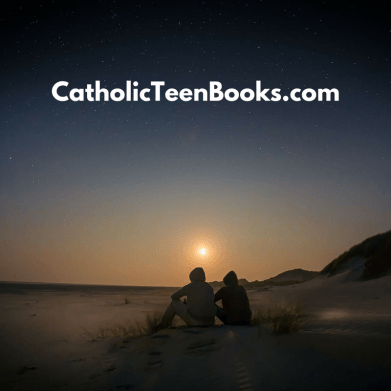 That is why we need Catholic teen fiction! 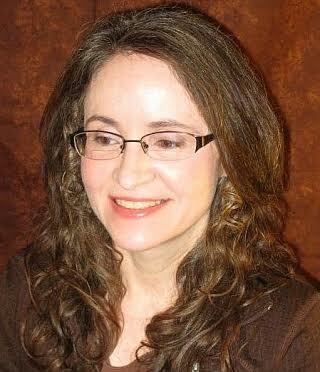 Catholic fiction can help refresh our minds and renew our vision. It can help us refocus on faith amidst the distractions of life and point us to God’s plan for our happiness. It can spark our imagination and open our hearts to life-changing spiritual truths. It can delve into things we can all relate to: human weakness and misery, struggle for redemption, and the awesomeness of unmerited grace. 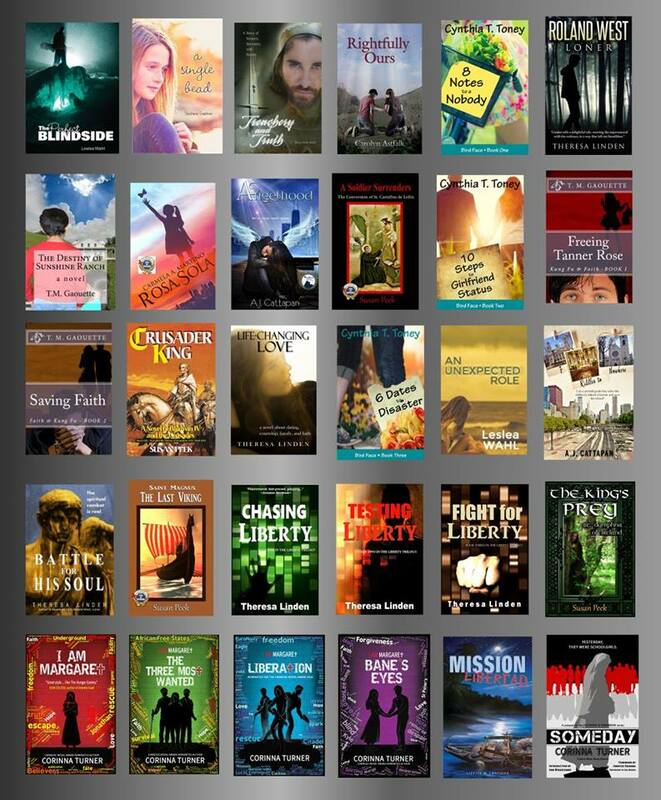 Fictional characters and storylines can help us grasp powerful truths. 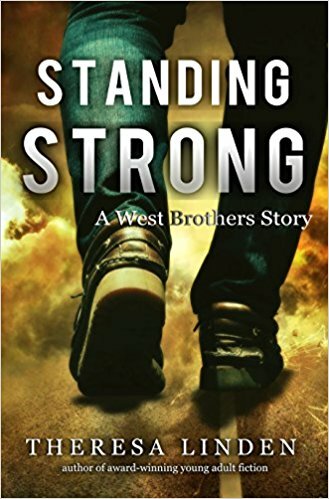 The theme of Roland West, Loner, the first in the West Brothers series, is that you are never alone. You belong to the Mystical Body of Christ. All Christians are your brothers and sisters. And so are the saints in heaven. This story sheds light on the meaning and power of the Communion of Saints. The second book in this series, Life-Changing Love, addresses relationship issues that teens face. With Saint John Paul II’s “Theology of the Body” weaved into the story, it challenges the culture’s views and shows the beauty of the Church’s teachings on love. We were, after all, made for love! 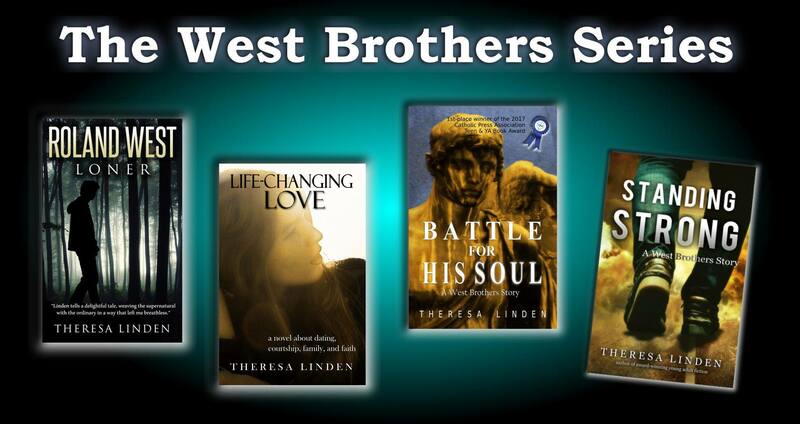 Battle for His Soul, the third book in the West Brother series, unfolds in the spiritual realm. Readers get to see the spiritual battle going on around Jarret West and the power of prayer before the Blessed Sacrament. 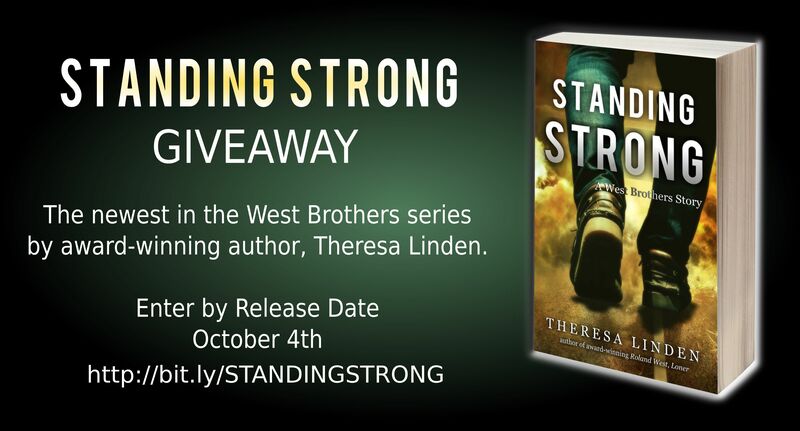 Standing Strong, the fourth book in this series, comes out October 4th. 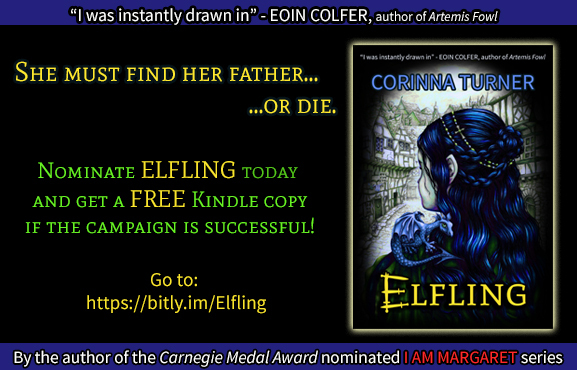 This story picks up where Battle for His Soul left off. 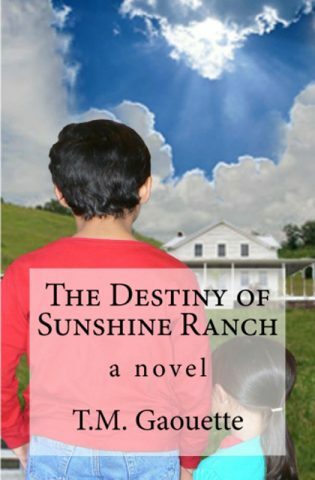 It’s book 4 of her West Brothers Series!!! 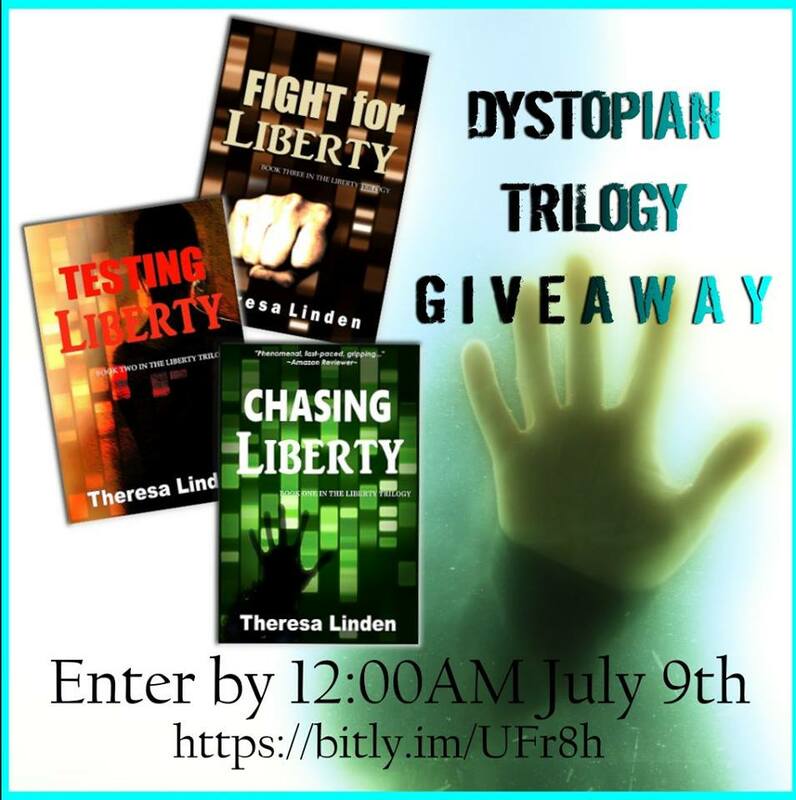 To enter this awesome giveaways, visit Theresa Linden’s website!